The Boundless CFX is everything we have come to expect from boundless products and certainly builds on what we know of the CF with its powerful, quick-heating technology. Compatible with dry herbs, oils and concentrates, The CFX takes vaping to the next level of innovation with complete temperature control, a spectacular 1.7 inch TFT display and a rugged exterior giving the vape a sturdy feel. The CFX is one of the fastest and most efficient portable devices on the market at present. We expected great things from the CFX based on its Boundless predecessors, and it does not disappoint in any fashion. In the running to be one of the strongest vaporizers on the market, the robust design and sturdy materials used to manufacture the CFX give it a tough, durable feel that fits comfortably in your hand. The outer casing has a textured design and rubbery finish adding to the solid feel of the vaporizer.This vape is the perfect size for passing around during group sessions and, with it’s large chamber, there’s plenty to go around. The digital TFT screen featured on the front of the CFX is easy to read and understand so you’re in complete control. Offering all the information you’ll need including temperature, battery life and a 300 second session timer, the screen layout is clear, bright and modern. Aftera 300 second countdown is completed, the CFX will automatically go into standby mode. Starting another session is simple – just hold the power button down for three seconds, allow the vape to reach you chosen temperature and away you go. The Boundless CFX has a full temperature range of 100 F-430 F (37.8 C-221.1 C) available to suit any material you want to vaporize; dry herbs, oils or concentrates. The oven boosts a powerful 80 Watts of power, allowing the device to heat up in 20 seconds or less. We recommended starting at a lower temperature, around 350 F for dry herbs, and as the session progresses take advantage of the customizable temperature controls, and increase the temperature by a few degrees to find a comfortable range that suits you. 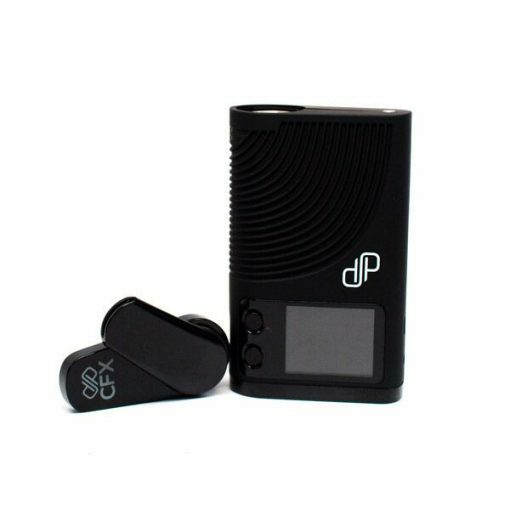 Another great functional aspect to the Boundless CFX Vaporizer is that it uses a mix of convection and conduction heating technology so you get the best of both. On top of this the CFX has both a ceramic heater and a ceramic chamber. 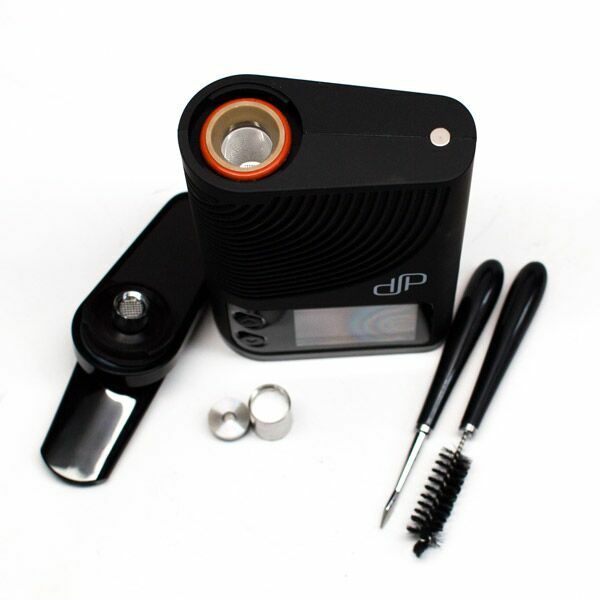 This means that you are going to get even heating, amazing vaporization and less wasted herbs. It has a medical grade plastic vapor path so even with its vaping temperature reaching 221 C, the CFX does not have any hint of plastic taste. 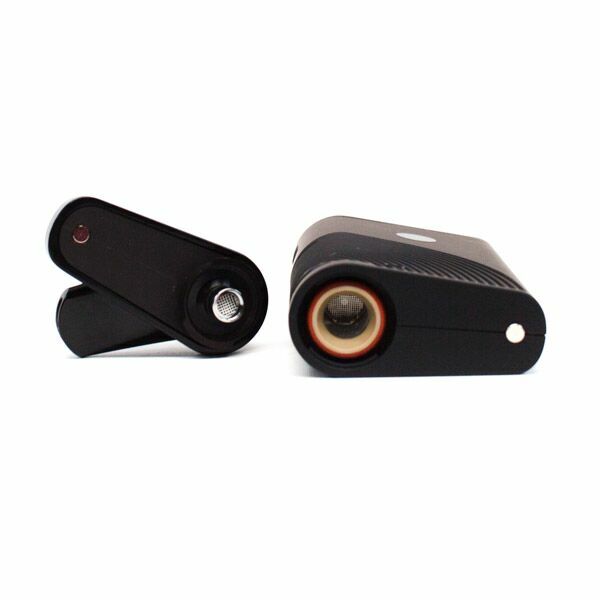 It has a fully isolated vape passage meaning that the flavor of the vapor produced is pure and tasty. The chamber size is more than sufficient for group sessions, but also vaporizes smaller loads for solo session with equally satisfying taste and quality. The majority of portable dry herb vapes on the market make use of rechargeable lithium battery and the Boundless CFX continues with this trend. 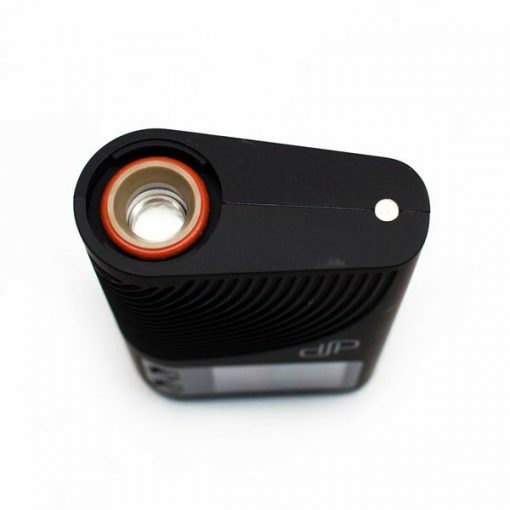 With two lithium-Ion batteries the CFX has a capacity of 2500mAh and an output voltage of 7.4V, allowing the vape to reach herb vaporization temps in under 20 seconds. 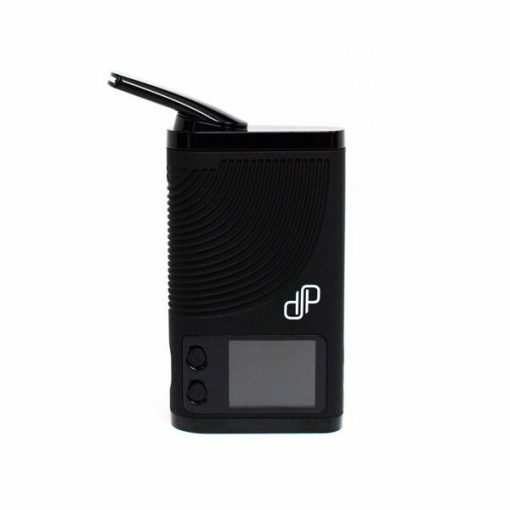 Charging this vape completely from flat will take roughly 2 to 3 hours using the micro USB cable, or if you charge in a DC wall socket it will be fully charged in around 30 minutes. A full battery will support around 90 minutes of continuous use and although you an use the vape while it’s charging, Boundless Technologies recommend doing so only with the battery already at least half full. 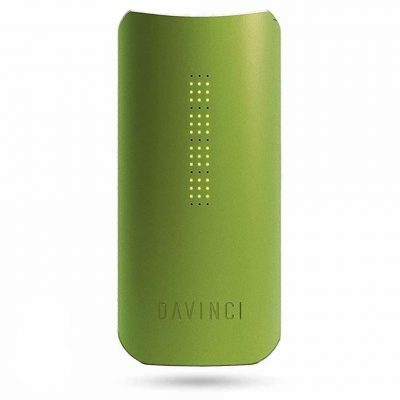 This is an impressive battery life and is comparable to the other very popular vapes on the market at present e.g. Storz & Bickels’ Mighty Vaporizer. Remove the mouthpiece by gently twisting it sideways to access the herb chamber. Loosely fill the chamber with your finely ground herb. Replace the mouthpiece. Rapidly press the power button five times within two seconds to turn the CFX on. The display indicates the temperature information, battery status, duration time etc. When setting the temperature the gauge will be red, when it’s up to temperature it will go green. Twist the mouthpiece towards you and vape away. 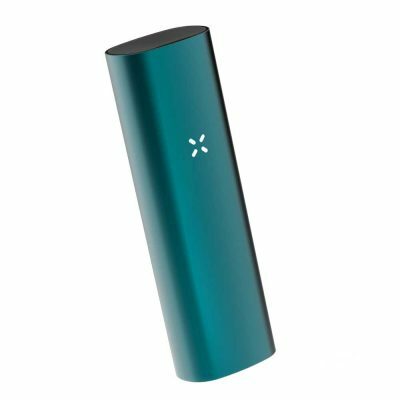 The CFX Vape is a really nice portable dry herb vape that is somewhere in the middle of a Crafty and Mighty Vape in terms of size and width. 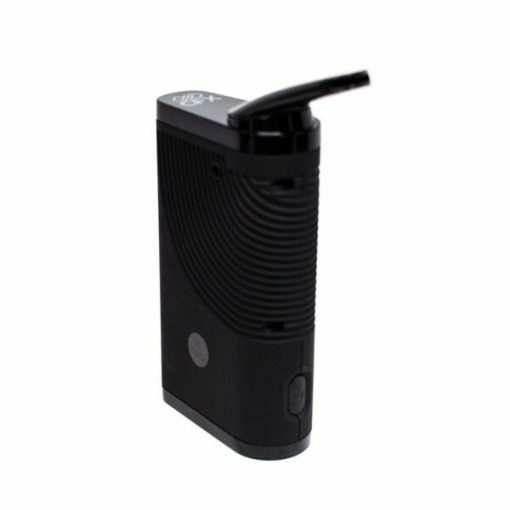 A somewhat large piece that some people may consider just too big to be a true portable vaporizer (for these people you should really check out the Boundless CF Vaporizer). This vape may fit inside your pocket, all depending on what kind of pants you will be sporting, and skinny jean wearing vapers out there may need to look elsewhere. The CFX Vape is definitely a discreet piece however if discreetness is your main concern, then there are far better options out there. 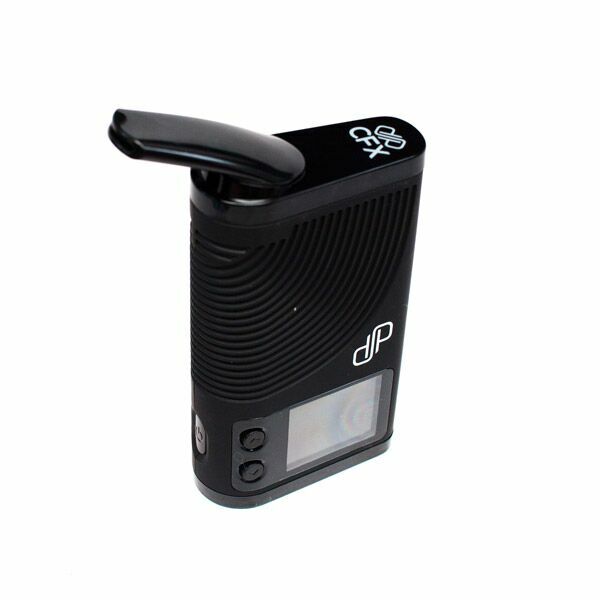 However, lets not take away from this magnificent Vaporizer, because that is what it is: a super powerful and efficient Vape that comes at an extremely competitive price.